Principal Mary Adrian, center, talks with kindergartners at Holy Spirit School in St. Paul. Adrian will receive the National Catholic Educational Association’s Distinguished Principal Award in April. 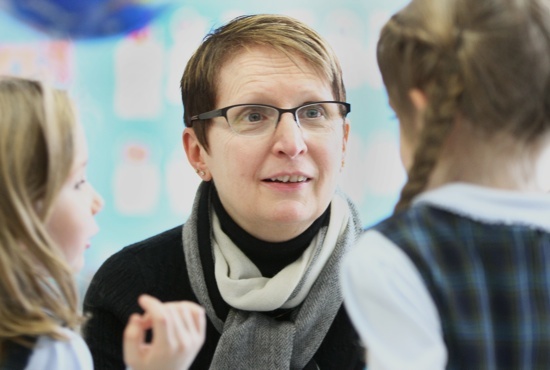 It will be the eighth straight year that a principal from the Archdiocese of St. Paul and Minneapolis earns the award. « What’s wrong with playing violent video games?